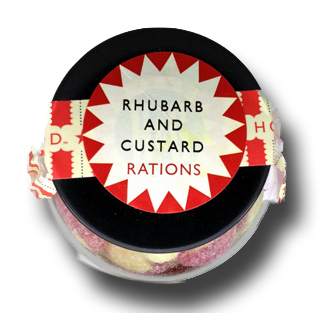 Home » 5 Freshest » Rhubarb & Custard Boiled Sweets : A UK Classic that Must Needs Come Stateside. 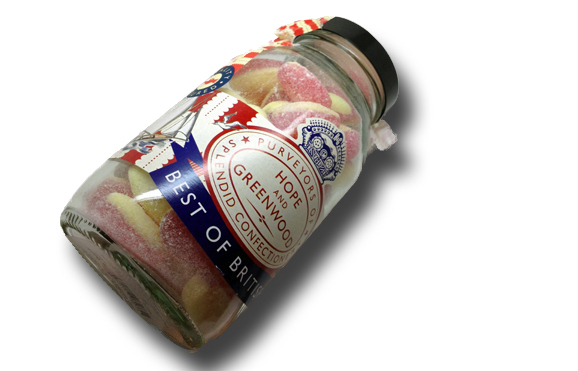 Rhubarb & Custard Boiled Sweets : A UK Classic that Must Needs Come Stateside. 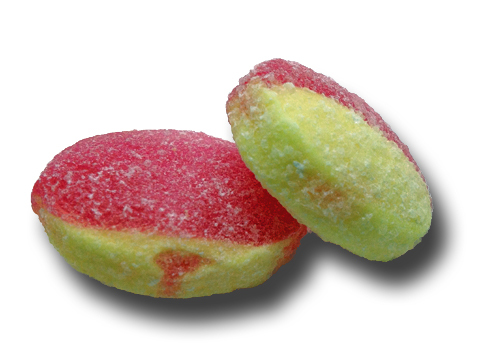 These are an insanely delicious hard candy, if you’re one of us that enjoys it on the hard side. The cool thing about these is that they have several different delicious aspects to them. First, they’re lovely. But lovely only goes so far. These things are about consistency and taste. When you first plunk one of the larger than normal pieces into your mouth, you’re hit with the graininess of the sugar coating. It’s rough. Not so rough that you cut your mouth, but…rough enough that it’s a real textural experience. Soon though, that wears down, and you’re left to the flavors: sweet, tangy rhubarb, with a hint of creaminess. Rhubarb isn’t nearly as big here as it is in the UK. Here, it’s relegated to Strawberry & Rhubarb pie. That’s literally the only application I’ve ever seen rhubarb available in at restaurants. I’m not sure why, because it’s a wonderful vegetable. Perhaps a bit confusing in a savory dish, since it’s so tangy, but why aren’t we seeing it more in sweets? It’s hard to describe rhubarb other than to say…a bit of berry, a lot of tart…and maybe the coolness of celery? As to where to get these, no problem! Here. But that doesn’t help any of us over the pond. As far as I can tell, there’s no way to get these in the states. Anyone wanna prove me wrong? They’re worth it. Thanks for the top-notch review. We love your blog!